Amidst the explosive growth of online shopping worldwide, keeping a unique identity in the way a brand manages to promote their products, is the one thing I admire more in the world of fashion. Luxury boutiques around the world are considered the 'it-places' to be by fashionistas, gaining the spotlight as must-see places in some of the biggest fashion capitals. Their location is almost all the times strategic: famous, busy avenues and inside the biggest malls the world has ever seen. A Chanel Boutique can only be described as a magical place, a place where dreams come true. Everything is perfectly displayed on shelves and hangers, the floors are always perfectly polished while there is always a helpful and kind sales associate to assist your shopping needs. Chanel as a brand has always been a synonym for impeccable elegance, refined luxury, kindness and perfection to the detail. It was in 1918, when Coco Chanel bought the now famous building at Rue Cambon where three years later, she would launch her very first couture house. She strongly embraced new beginnings, as she was an advocate of young women pursuing their dreams - after all, her career was the living proof that success is possible. Authenticity and hard work were the keys to her success. In 1915 Harper's Bazaar had predicted her success by saying that "The woman who hasn't at least one Chanel is hopelessly out of fashion - This season the name Chanel is on the lips of every buyer", it was only the beginning of everything. Coco's heritage to the world of fashion may be invaluable but there is an even more precious legacy she left the world: she had become a mentor to girls all over the world, inspiring them to follow their dreams and overcome every obstacle in their way in order to succeed. For me personally, one of her quotes has been following through my entire life and career: "If you want to be original, be ready to be copied" - a concept that shines through every boutique and pop-up store the brand owns. 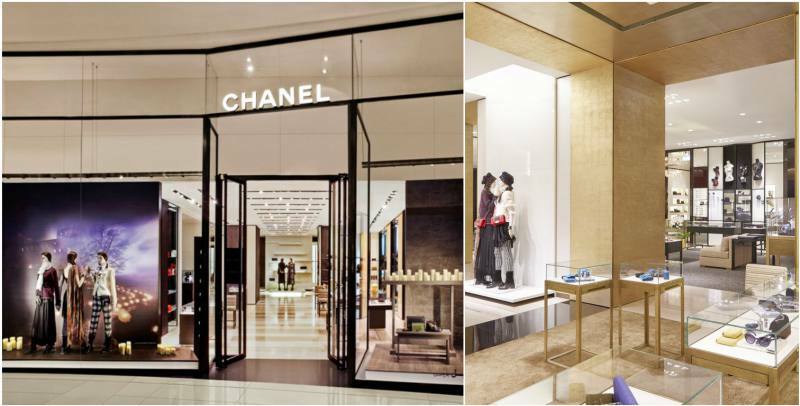 Chanel Boutiques are the face of elegance itself: contemporary elements combined with classic, minimal accents along with baroque touches. The noted American architect, Peter Marino has designed himself most of the Chanel boutiques. The list below includes my personal favorites from the capitals of the world. If you need some more inspiration about fashion and shopping, you can check out the 9+1 Top Shoppings Streets Around The World! Did you know that Coco Chanel had designed an incredible uniform for the girls of the Olympic Airways? Yes, that's right - you can see it here!